Although the focus at the consumer end of the laptop world is currently dominated by ultra-portables and Ultrabooks, business laptops such as the Dell Latitude E6220 Advanced ignore this trend, with a focus on solid performance for serious tasks. It isn't the thinnest or lightest on the market but its powerful Core i7 processor, solid-state drive (SSD) and respectable battery life mean this 12.5-inch laptop won't slow to a halt when running demanding tasks. Dell has chosen a two-tone design, with the keyboard and bezel in black, and a plastic/ polycarbonate material used on the lid and edge around it. The screen is non-reflective and looks very sleek and sensible. The keyboard isn't the isolated style found on nearly every new laptop these days, but reverts to a traditional design with each key touching the next. While the general aesthetics of the Dell Latitude E6220 Advanced are good, an exception is its battery, with a large section that juts out at the back. This adds a few centimetres to the overall depth, making it less portable. Although Dell has ignored many rules of ultra-portable design, the firm has adopted one of their worse aspects: a stingy array of ports. There are only two USB 2.0 ports, with a third port that can be used for either eSata or USB. USB 3.0 is nowhere to be seen, which is unacceptable on a modern business machine. There are also HDMI and analogue VGA video outputs and a headphone jack. Sensibly, Dell remembered a wired Gigabit Ethernet port. There's also the option of a SIM card slot for HSPA+ mobile broadband. Despite our criticisms, we were still impressed by the Latitude, thanks to its excellent performance. The Core i7-2620M processor runs at a whopping 2.7GHz, enough to make short work of demanding tasks. No ultra-portable even comes into the same league. Despite relying on Intel's HD 3000 integrated graphics processor, the 3D results aren't bad either. The rest of the specification is more conservative. Dell's inclusion of 4GB of RAM is fine, but 8GB would have sweetened the offering. Likewise, while an SSD is a great addition, having only 128GB of storage is rather limiting. Once the drive is formatted and Windows installed, there's little space left for a media collection or large apps. Again, we'd expect slightly more from a laptop that costs this much. Despite our disappointment at certain aspects of the Latitude's specification, its battery life made up for it. Four hours may not sound impressive, but it is considering the processing punch of this PC. 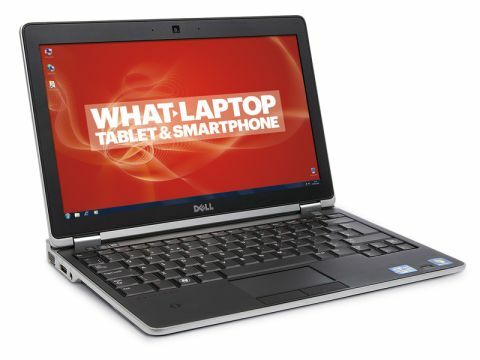 The Dell Latitude E6220 Advanced is a solid laptop, and if its specification matched its price tag, it would easily earn a recommendation. Unfortunately its shortcomings can't be ignored, so our impression is that while it could have been a winner, it must settle for the bronze.